Park Shinhye’s 1st visit to Hong Kong became the central spotlight of local media. On April 16, the actress traveled to Hong Kong for a promotional visit. Her arrival has aroused immense interest and attention of not only her fans but also the local media. 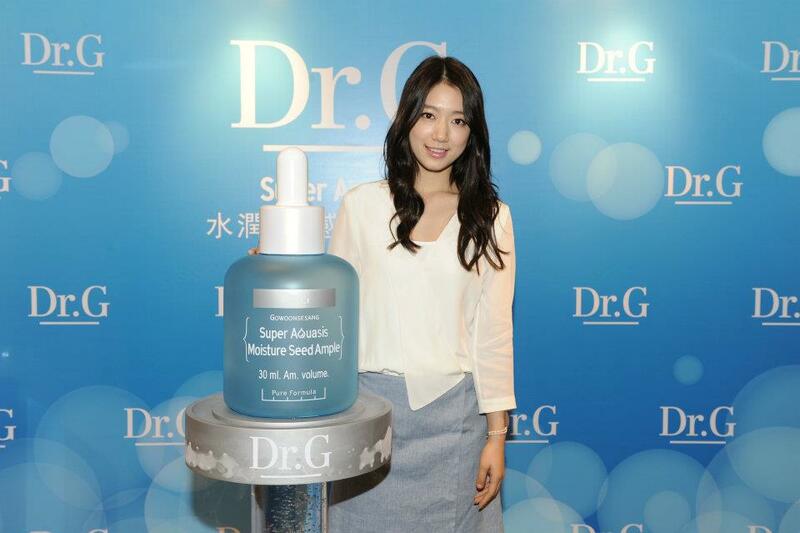 Park Shinhye went to Hong Kong as Korean cosmetics label Dr. G’s newest endorsement model. For that purpose, she held a product launch press conference in Tsim Sha Tsui, Hong Kong on April 19 to promote the newest line of cosmetics – ‘Dr. G Super Aquasis’. The press conference included product introduction, media interviews and a fan-signing session. The press conference attracted the participation of all fans as well as major local Hong Kong media, who had been feverishly anticipating the arrival of the star. Reporters from the most popular Hong Kong news agency such as Apple Daily, Ming Pao Daily, Sing Pao Daily, Hongkong Daily joined the event. Park Shinhye’s press conference coverage was also featured in Hong Kong TV channel TVB’s famous show <The Scoop> (東張西望).. Also, some Mandarin Chinese reporters from Sina, LE TV, youku also attended the event to interview the actress. 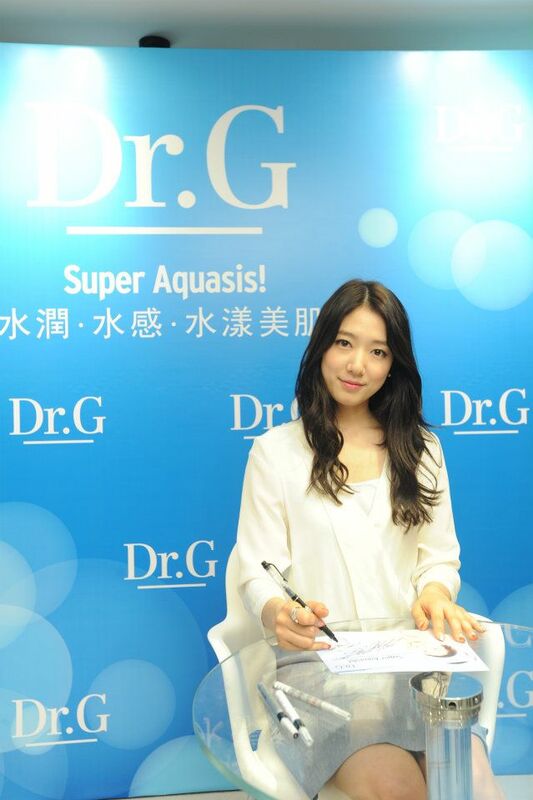 Park Shin Hye’s Hong Kong fans eagerly awaited her arrival and events in Hong Kong, and some were lucky to attend the press conference and also the private gathering on April 19 and 20. Park Shinhye received big cheers and encouragement from Hong Kong fans during the promotional schedule and she repaid them with smiles, greeting and sincerity. Fans also greeted her during her departure at the HK airport. Once again, Park Shin Hye’s status as a ‘New Generation Hallyu Queen’ was proved by the overwhelming support she received in Hong Kong. Her drama 'Heartstrings' is currently popular among the locals. Also, it was revealed in Hong Kong that Park Shinhye will have a new movie project in May 2012.